There are more than 12oo types of bats all throughout the globe. These flying mammals are widepread and can live under any moderate temperature; however, bats do not sustain extreme temperatures. They are not found in Antarctica or Polar Regions. Normally, people are hesitant to approach bats for the reason that these mammals live in desolate areas like caves or rocky crevice. Megabats belong to the family of Megachiroptera and are also known as fruit bats. 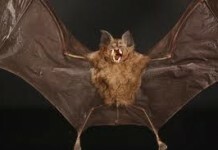 These types of bats are not the large sized mammals. The length measures around 6 cm (2.4 inches), with the largest specie measures 40 cm (16 inches). They have a wingspan of 150 cm (4.9 feet). The weight of these kinds of bats is about 1 kg (2.2 lb). They have relatively large eyes that help them in visualizing things more clearly. The megabats do not use echolocation. These mammals largely feed on fruits and flower nectar. They have sharp teeth that allow them to eat even the hardest-skin fruit. 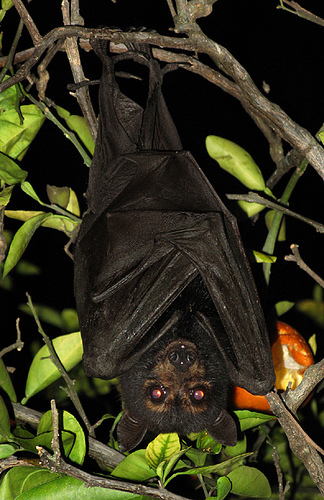 Megabats are great pollinators in that most plants depend on their seed-splitting activity. 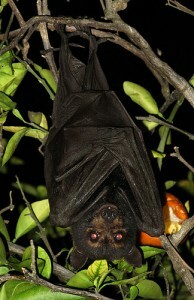 The Spotted-winged Fruit Bat belongs to the family of Balionycteris maculate. These types of small bats are found extensively throughout Malaysia, Borneo Island, and Thailand. These megabats normally roost in trees, caves, and forests. Spotted winged fruit bat is 53 – 62 mm long. They are by far the smallest bats specie. The weight of these mammals is around 10.0 – 16.5 grams. These types of bats primarily found in western Peninsular, Malaysia, Sumatra Galang islands, and islands of Boreo. These kinds of bats prefer to roost in the lowlands or palm trees. The Lesser Short-nosed Fruit Bat is related to the Cynopterus brachyotis family. These types of bats usually subside in the Southern Indonesia. They weigh around 21 – 32 g (0.74 – 1.1 oz). They are typically found in the lowlands, rainforests, mangroves, gardens and tropical forests. Lesser short-nosed bats are one of the different types of bats that are brown to yellowish in color. Females are mostly yellowish as against the males. The length of the tail measures around 8 – 10 mm (0.3 – 0.4 inches), along with the 14 – 16 mm (0.5 – 0.6 inches) long ears. The lifespan of these kinds of bats is 20 – 30 years. These bats largely feed on fruits’ juices and nectar. The period of gestation ranges from 3.5 to 4.0 months. These types of bats turn out to be mature after 1 year. They are normally found roosting in trees, rock crevice, and caves. These bats are widely distributed throughout Bangladesh, Nepal, Indonesia, Malaysia, India, Sumatra, Philippines, Thailand, Burma, China, Sri Lanka, and Kangean Islands. The Greater Short-nosed Fruit Bats belong to the family of Cynopterus sphinx and is endemic to South and Southeast Asia. 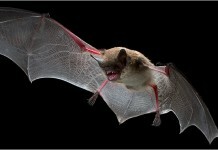 These types of bats have a wingspan of 48 cm, and the forearm is 70.2 mm (64 – 79 mm) long. Like the lesser short nosed bats, these bats are mainly live in China, Pakistan, Bangladesh, India, Bhutan, Indonesia, Malaysia, Philippines, Thailand, Sri Lanka, Myanmar and Laos. They build their habitats in subtropical forests, and grasslands. 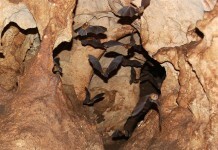 These bats roost in a group comprising 8 – 10 individuals. The gestation period of these types of bats lasts for 4 – 5 months. The newly born chicks weigh around 13.5 grams, with a wingspan of about 24 cm. The juveniles weigh 25 grams along with a wingspan of 36 cm. Greater short-nosed fruit bats become mature after 5 – 6 months. They largely feed on guava, lychees, dates, chikoo, and bananas. These kinds of bats are considered to be nuisance for the crops. Besides, they can inflict serious diseases to humans. The Dayak fruit bat belongs to the Dyacopterus spadiceus family and is mainly found in the Southeast Asia and Sumatra. These bats are not widespread. The average weight of dayak fruit bats is 150 grams. The size of the skull is about 36.1 mm. 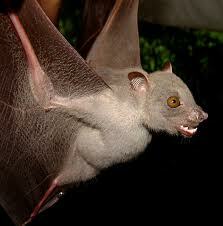 These types of bats primarily feed on fruits and are mostly found in the canopy of forests. The microbats belong to the family of Microchiroptera. They mainly feed on insects. Unlike macrobats, these types of bats use echolocation to locate their prey. They do not have claw at the second toe of forelimb whereas Macrobats do have. Most of these types of bats feed on fish, frogs, birds, lizards, and birds. 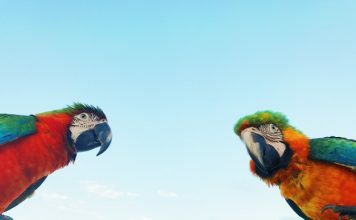 The length of these flying mammals is around 4 – 16 cm. 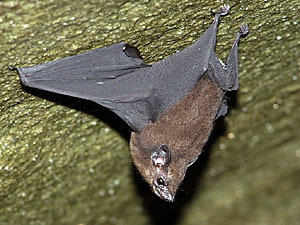 The Mexican free-tailed bat belongs to the family of Tadarida brasiliensis. These types of bats are endemic to America and are widespread throughout North America. One the negative side, the population of these mammals has significantly reduced due to the habitat destruction and deforestation. Mexican free-tailed bat measures around 9 cm (3.5 inches) by length. It weighs about 12.3 grams (0.43 oz). It has a large tail. They have big ears that help them to locate their prey efficiently. They are distributed all throughout Alabama, Utah, Nebraska, North Carolina, Arkansas, Georgia and Mississippi. These types of bats are largely found in caves or rock crevice. They can also be found in the residential areas like buildings. These types of bats are the migratory mammals in that they travel from Utah, Southwestern Colorado towards southern California as a single unit. There are more than 1.5 million bats in the North America and they feed on more than 4,500 to 14,000 kilograms of insects. They are insectivore and they eat moths, flies, bugs, ants, dragonflies, wasps, and beetles. 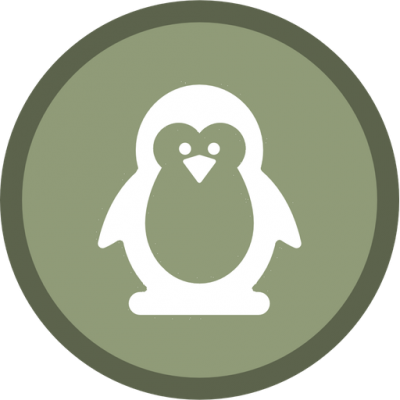 Predators of Mexican free tailed bats are American Kernel, Great Horned Owl, Barn Owls, Raccoons, and Red tailed Hawks. 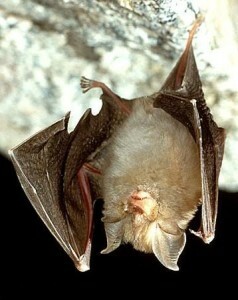 They fly at an altitude of 3300 m. Very small quantity of these bats are found under bridges, buildings, and tunnels. The gestation period ranges from 11 – 12 weeks. The chicks are fed for about 5 – 7 weeks continuously until they reach adulthood. The Lesser Horseshoe Bat belongs to the family of Rhinolophus hipposideros and is relatively smaller specie. 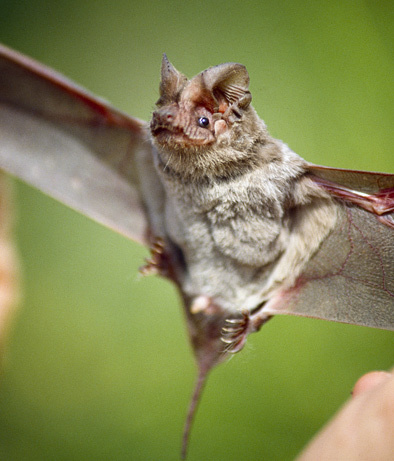 These types of bats weigh around 5 – 9 grams, along with a wingspan of 192 – 254 mm. the length of the body is about 35 – 45 mm. The feet are very strong that can grip the rocks and tree branches. They use echolocation in order to detect their prey. These mammals mostly feed on small insects, flies, moths, and spiders. The newly born chicks weigh around 1.8 g. It takes 6 – 7 weeks for chicks to become fully mature. They roost in the large old caves, buildings, and bridges. They are also found in the foothills or highlands. These kinds of bats fly at an altitude of 1160 m above the sea level. These types of bats are extensively found in caves and near-water places together with the deciduous forests. These mammals exist in Tenasserium Hills, Dawna Hills, Sai Yok District, Kanchanaburi Province. The average size of a single roosting group consists of 100 – 500 bats. They do migrate but not regularly. The Seychelles sheath-tailed bat belongs to the family of Coleura seychellensis and is largely found in the Central Islands of Seychelles. However, the population has been recently found to decline rapidly. They mainly subside in Madagascar. 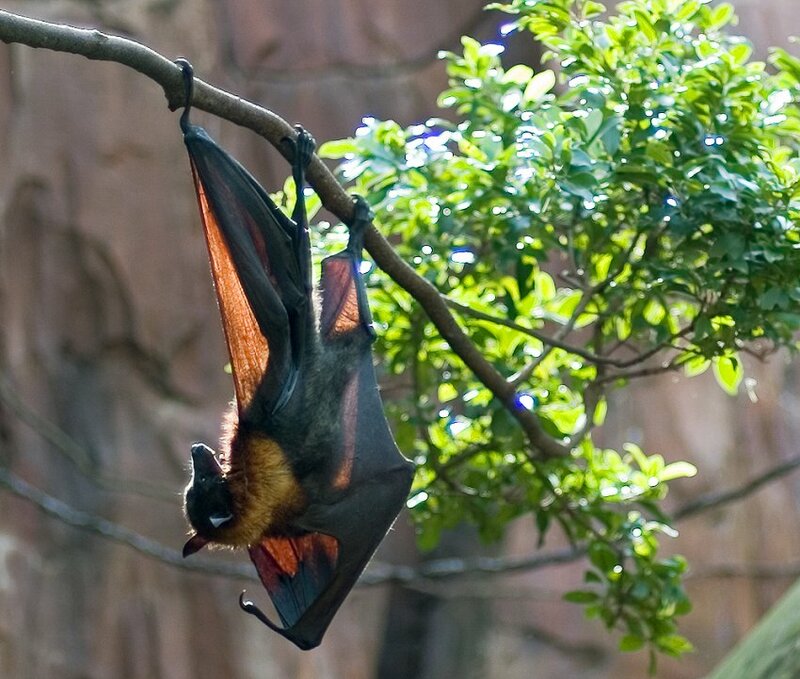 These types of bats are considered to be an endangered species for only 100 are living today. Habitat destruction and deforestation are the few of the main causes of their rapid extinction. These kinds of bats weigh around 10 – 11 grams (0.4 oz). They use houses, crevices, and roofs as their roosting place. They start foraging at the twilight hour. What Do Bats Eat? How Do Bats Fly?